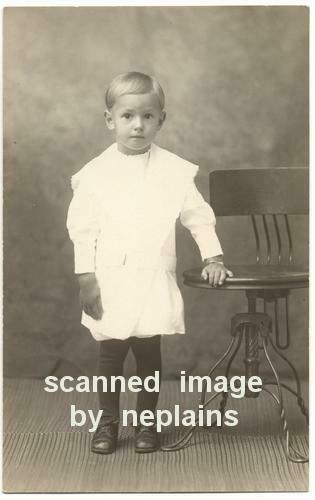 Little boy standing beside a chair or stool with twisted wire base. "Lawrance Woolen" penciled on back (or could be "Lawrence Wooten"). Location is unknown; photo was found with other items from southeast Nebraska and northeast Kansas.